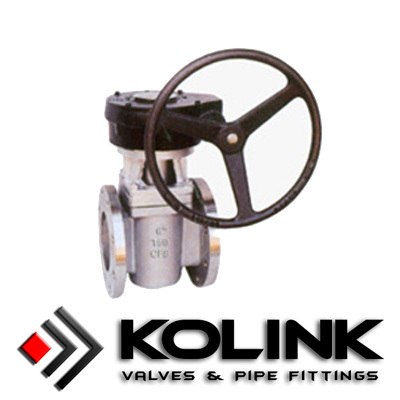 Non-lubricated plug valve utilizes a tapered or cone-shape that acts as a wedge and presses a polymeric sleeve against the body cavity. The use of the sleeve reduces friction between the plug mechanism and body. Non-lubricated plug valves are often used instead of lubricated ones in applications where maintenance needs to be kept to a minimum, or where liquids could be trapped or solidify and potentially jam the valve. However, non-lubricated plug valves are limited by temperature and chemical compatibility of the non-metallic materials they are made of.